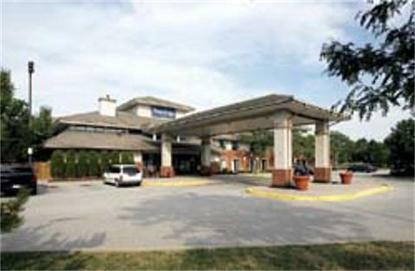 Our Travelodge is conveniently situated minutes from downtown Windsor. At our hotel, you can expect a clean and comfortable room at an affordable rate. All of our spacious guest rooms and suites feature cable television, available in-room movies, Free High Speed Internet, and individually controlled heat and air conditioning. For your business needs, we offer corporate select rooms that have mini fridges, irons, ironing boards, and hair dryers, along with three meeting rooms which can accommodate up to 40 people.Adjacent to the property is Tommy Foolery's Grillhouse and Beverage Company which features great food selection and plenty of TV's to watch the game. Our hotel features a heated indoor pool with waterslide now open, a children's pool and hot tub. We have a state of the art fitness facility. We are conveniently located five minutes away from shopping, and art gallery, the riverfront and Detroit. Plenty of free parking is always available. Exceptional value, comfort and a great location make the Windsor Ambassador Bridge Travelodge the perfect accommodation for both business and leisure. Travelling to Canada with a DUI record.